Dallas/Ft. Worth is a versatile as it is large. Boasting as the 5th largest metropolitan in the United States, Dallas/Ft. Worth has something for everyone. From shopping, museums, water parks, rodeos, sports and nightlife, you’ll have plenty to do and see during your visit. Offering a sophisticated ambiance, The Grand Met restaurant is your gateway to innovative global cuisine. Flavors from around the world are seasonally inspired and artfully prepared in our modern show kitchen. The Grand Met also offers an extensive wine list, and a well-trained staff that is ready to serve you. M lounge adjacent to the Grand Met is best known for our signature martinis, tasty sushi, and an energetic atmosphere. The perfect setting for any occasion the Grand Met restaurant and M lounge are always at your service. Call 972-973-1244 or visit our menu at www.grandhyattdfw.com. Billy Bob’s Texas restaurant in Fort Worth opened in 1981 as the World’s Largest Honky Tonk. Located in the Historic Fort Worth Stockyards, Billy Bob’s features family entertainment every day and night with concerts, real bull-riding, dance lessons, casino & video arcade, restaurant, celebrity wall of fame, and gift shop. For more information visit us at www.billybobstexas.com or call 817-624-7117. No visit to Dallas is complete without visiting the legendary Southfork Ranch. Visitors can tour the Ewing Mansion, re-live exciting moments from the series in the “Dallas Legends” exhibit, shop at two retail stores where they will find signature Southfork merchandise available only at the Ranch, and eat at Miss Ellie’s Deli. Not just a tourist attraction, with 63,000 square feet of meeting space and ten different ballrooms, Southfork hosts over 1,400 events annually. Southfork Ranch is located at 3700 Hogge Road, please call 972-442-7800 and visit www.southforkranch.com. The Stockyards Rodeo located in the Cowtown Coliseum in the Fort Worth Stockyards National Historic District has a rich history steeped in Rodeo and the West. 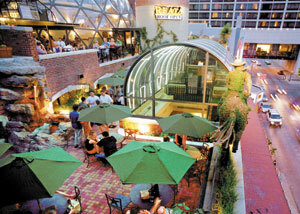 The Cowtown Coliseum offers all the modern amenities, yet retains the feel of an historic site. Spectators can sit in air conditioned comfort and view the best in Rodeo and Western action. Come join us today and add to our wonderful history. For more information visit us on our website at: www.stockyardsrodeo.com or call 1-888-COWTOWN. Located in the heart of the Fort Worth Stockyards National Historic District, Stockyards Station is a western destination offering over 25 unique shops, dining and entertainment, indoor and outdoor event facilities, historic walking tours, horseback riding, Cowtown Cattlepen Maze, the Texas Cowboy Hall of Fame Museum and Hyatt Place Historic Stockyards. Stockyards Station is also home to the world’s only TWICE DAILY Cattle Drive at 11:30 am and 4 pm. Call 817-625-9715 for more information or visit www.stockyardsstation.com. Dallas, Texas is home to America’s favorite NFL team, The Dallas Cowboys. 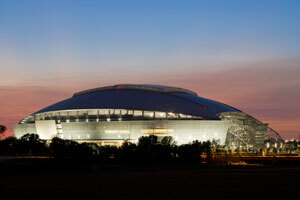 The Cowboys home is in the newly constructed Cowboys Stadium in Arlington. The Cowboys’ streak of 160 sold-out regular and post-season games began in 1990, and included 79 straight sellouts at their former home, Texas Stadium. The Cowboys’ share a record for most Super Bowl appearances and are the only NFL team to record 20 consecutive winning seasons (1966–1985), in which they only missed the playoffs twice (1974 and 1984). The Dallas Cowboys share the field and spotlight with The Dallas Cowboy Cheerleaders. America’s Sweethearts have truly become the darlings of the National Football League, www.dallascowboys.com. The Texas Rangers MLB team plays in the Rangers Ballpark in Arlington. The Texas Rangers Baseball Club has made four appearances in the MLB postseason, all following division championships in 1996, 1998, 1999, and 2010. In 2010, the Rangers advanced past the Division Series for the first time in franchise history. Texas then brought home their first American League Pennant in 2010, www.texas.rangers.mlb.com. From the moment you arrive at Galleria Dallas, you’ll know you are in for a shopping treat unlike any other. Galleria Dallas offers a unique collection of boutiques, restaurants and experiences. Visit our guest reception center for assistance, 972-702-7100 or www.galleriadallas.com. Check out the historic location of the long-running Dallas TV series at the world’s most famous ranch. While at Southfork Ranch visit the Ranch Round up gift store, the Lincoln and Longhorns apparel store and the Dallas Museum. You are sure to find the perfect gift for that special someone or yourself, 800-989-7800 or www.SouthforkRanch.com.